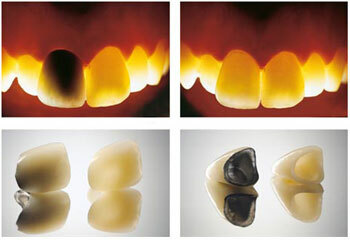 3M Lava Zirconia crowns and bridges are desinged to look and feel like beautiful natural teeth. Precision CAD/CAM system for outstanding marginal fit & superior fit relative to leading competition. Lava zirconia restorations are an ideal alternative to porcelain-fused to metal (PFM) restorations. The zirconium oxide achieves the beauty and translucency of natural teeth. Over time metal restoration can leave a dark metal margin where the gums recede, with lava zirconia it produces strong durable restorations and retains its original beauty for years. It is much better alternative for those patients who have concerns about metal.